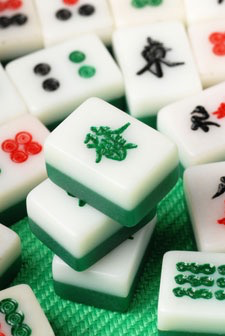 Not long ago, I was asked 1) if I wanted to join a Hadassah group, and 2) would I like to play Mah Jongg with a group of ladies. Right there, right then, I knew I’d passed some sort of demographic milestone. Wasn’t it just a few weeks ago these same ladies were wanting to fix me up with their grandsons? 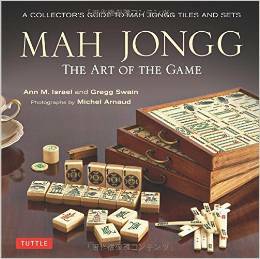 I politely declined, but now I’m reconsidering the Mah Jongg offer, thanks to Mah Jongg: The Art of the Game, an elegant new coffee table book written and photographed by three people with Columbia County connections. For many players, there’s a social ritual to the whole game experience. For the authors and photographer of the book, however, it’s so much more. 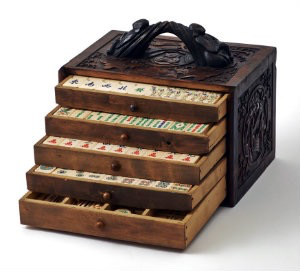 It’s about the art of the Mah Jongg tiles and sets: their histories, their design, the materials used, the varied symbols and scenes depicted on the tiles. The passion for Mah Jongg took hold of co-author Ann Israel about five years ago after visiting the Project Mah Jongg exhibit at the Museum of Jewish Heritage in New York. “A group of us took lessons four years ago, and started playing every Wednesday. We call ourselves the Mahjettes. Whoever is hosting prepares lunch and we have a great time,” she says. Co-author Gregg Swain, one of the original Mahjettes, continues the story. “Ann got a vintage set, and then I got one. 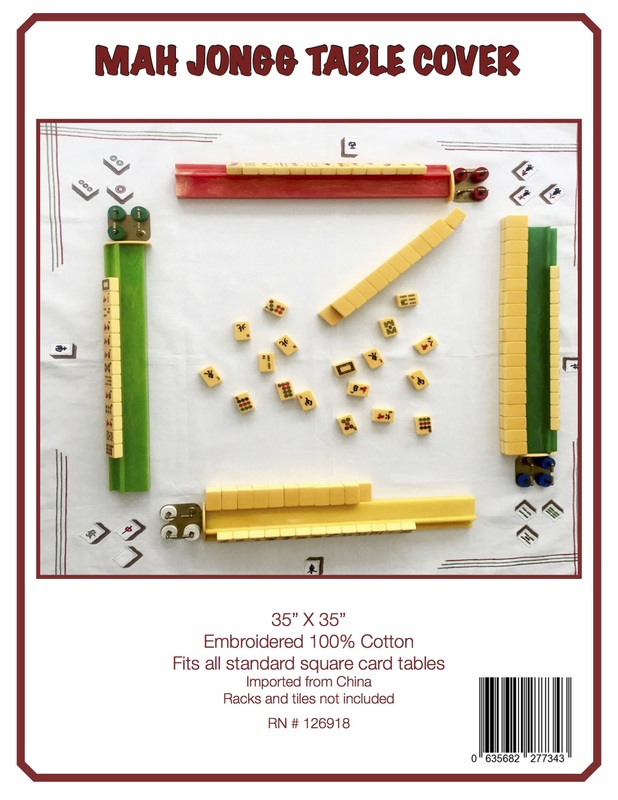 We discovered that although there are how-to books for Mah Jongg, nothing had been written on the art of the tiles, so we came up with the idea of putting a book together.” A few more Columbia County part-timers boarded the Mah Jongg train. Israel called on her longtime friend, East Chatham photographer Michel Arnaud (he’s worked for Vogue, House & Garden, and Architectural Digest, among many other publications, and has photographed lifestyle and design books) who agreed to participate. His literary-agent wife, Jane Creech, offered to publish the book. Gregg Swain’s husband, Woody Swain, art directed. By this time, both authors heavily were invested in acquiring antique sets, and knew who the great collectors and historians were. The first shoot — photographing Israel’s and Swain’s collection, of course — took place at Arnaud’s East Chatham studio, but then Arnaud traveled across North American and Europe to photograph other collectors’ sets. Prepping the tiles for their closeups was a challenge. 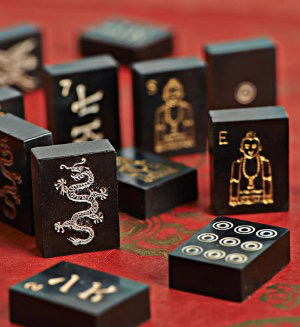 The tiles, boxes, and their stories are comprehensively covered in the book, which chronicles the early beginnings of the game. But chiefly, the book showcases the beauty and artistic nature of the different kinds of tiles. The photos are sumptuous and remind me of how I used to love the slippery smoothness of the tiles in my mother’s set. 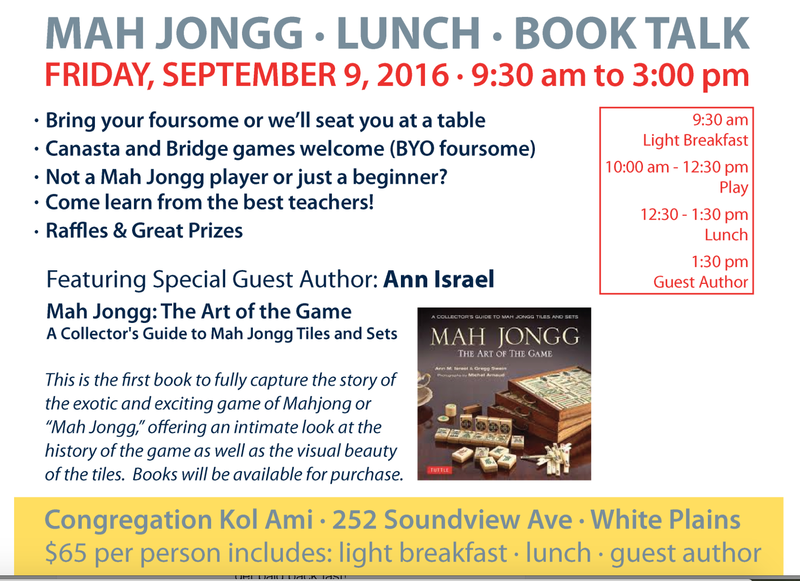 I hadn’t heard much about Mah Jongg after my mother stopped playing, aside from my invitation to join a group. 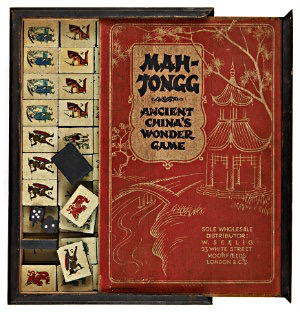 But Mah Jongg is alive and well. Both authors now blog about the subject, Israel at mahjonggandme, and Swain at majhongtreasures. The Chatham Library hosts players on Mondays and Wednesdays. 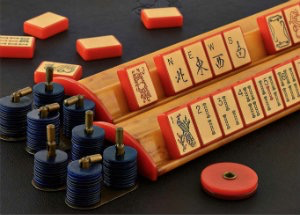 Google Mah Jongg and you’ll find a whole world devoted to the game. In advance of the official book release on November 18, Ann Israel and Michel Arnaud will be signing books at The Chatham Bookstore on November 15 at 5 p.m. Israel has invited local residents to give a Mah Jongg demonstration, and refreshments for this event — essential for any Mah Jongg gathering — will be provided by the Old Chatham Country Store. Guess it’s time to dust off my mother’s set. Book signing and demonstration Saturday, November 15, 5 p.m. This entry was posted in Mah Jongg and Me and tagged Hadassah, Lisa Green, mah jongg, Mah Jongg: The Art of the Game, Michel Arnaud, Museum of Jewish Heritage, Old Chatham Country Store, Rural Intelligence, The Chatham Bookstore on November 14, 2014 by Mah Jongg and Me.